A robust content strategy needs to be at the core of every ecommerce brand’s digital marketing initiatives. According to a CMI study, 75% of B2C marketers have found their strategy to be the most crucial factor in the success of their content marketing. Yet, only 38% of marketers have a clearly documented content strategy. So, for ecommerce businesses that still don’t have a content strategy, it’s time they plan one. This post discusses some of the most important steps in planning a content strategy for ecommerce businesses. Before designing a content strategy, it is essential to set the right goals. The goals are the results that a company wants to achieve through their marketing campaign. This can be an increase in sales, customer engagement, leads, brand awareness, or customer loyalty. Once the goals have been identified, the next step is to define KPIs to measure these goals as the campaign progresses. For an ecommerce business, KPIs can include site traffic, new email subscribers, conversions, or even social media followers. Only once the goals and KPIs have been identified, the actual content strategy planning can begin. Let’s take a look at some of key elements of an effective content strategy along with tips to get them right. The first step towards crafting the message is to identify a few topics that are likely to generate interest among the target audience. This can be done in a few different ways. Platforms like BuzzSumo can help ecommerce businesses identify the topics that are currently trending in their industry. These can be a great starting point. 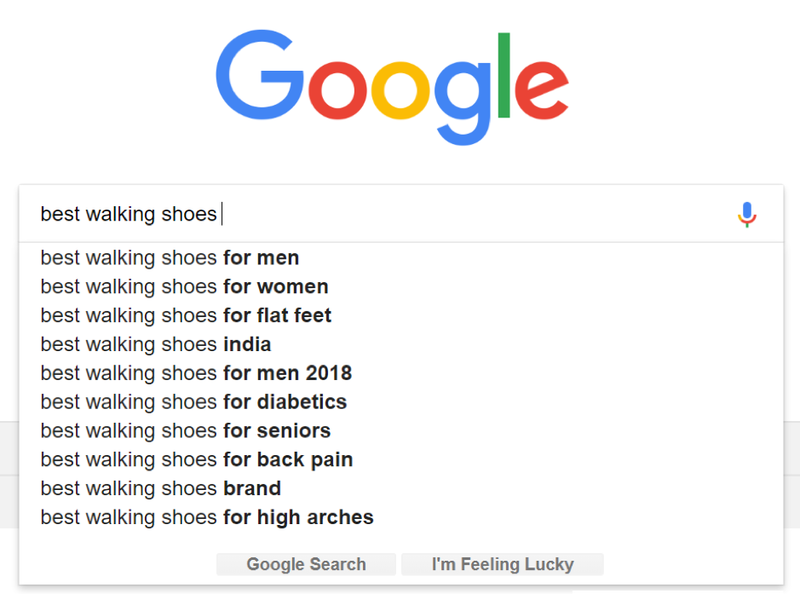 Google’s search suggestions can be another great way to find topic ideas. When a topic or keyword is typed in the search bar, Google automatically shows a list of related search phrases. These can be a great source for finding new content ideas. Businesses can also take cues from customer reviews and complaints, and identify common problems that customers face or the key questions they ask. Ecommerce companies can gather such data by analysing the queries and complaints their support teams receive. For a successful content strategy, it is essential to understand the needs, interests, and preferences of consumers. This can help to make sure that the content is relevant and suited to their needs. Analytics, Twitter Analytics, or by conducting customer surveys and interviews. Google Keyword Planner is a great keyword research tool that can help to find relevant keywords. It provides information on search volumes for specific keywords. Other keyword research tools such as Ubersuggest or Moz Keyword Explorer can also be used. These tools display some additional information (other than search volumes) such as the difficulty level and CPC. Social media posts are a key component of any company’s content strategy. According to a study, 92% of consumers attach a lot of importance to product reviews on social media for making purchases. Blenders Eyewear posts pictures of their products in use and adds a direct link to the product page on their social media posts. This a great way to showcase their products and encourage people to buy them too. Videos are one of the most engaging forms of content because they are visual in nature, interactive, and more informative than still images. According to a study, 81% of businesses have found that adding an explainer video on their website has helped to increase their sales. 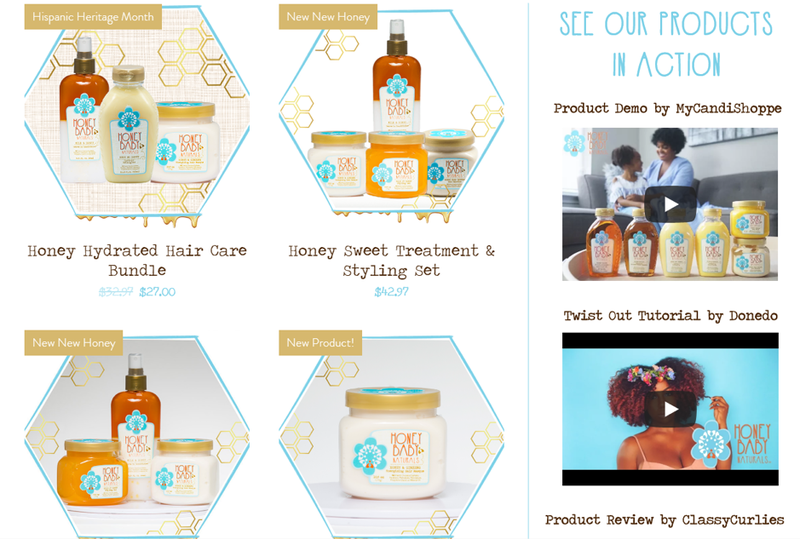 Honey Baby Naturals, a retailer of skincare products for kids, places product tutorial and review videos on their product pages. Tutorials help customers understand various use cases and benefits of a product while reviews provide the social proof they need to help them in their buying decisions. The length of these videos can vary depending on 3 factors: the channel they’ll be shared on, the purpose of the videos, and the target audience demographics. So ecommerce businesses need to consider all of these factors when deciding on the length of the video. Ecommerce businesses need to create engaging and detailed product descriptions. A good product description should talk about the unique product features in detail, as well as about its uses and benefits. 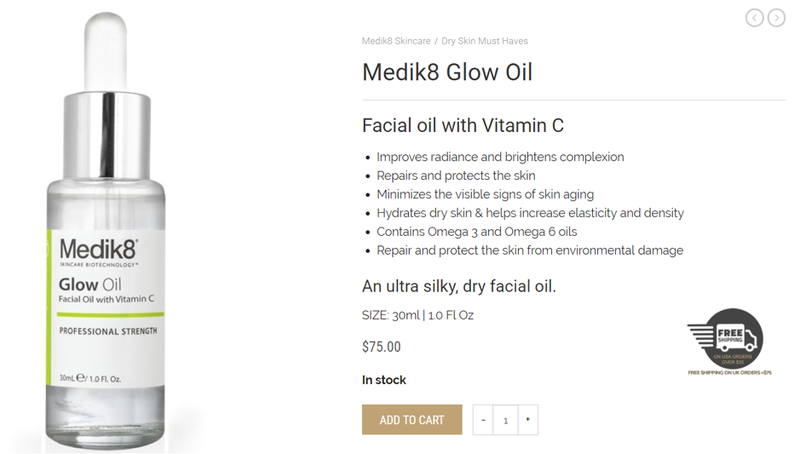 Here are a couple of great examples of ecommerce product descriptions. Cosmetics retailer, Private Spa Shop, uses brief, but informative bullet points to enlist their product benefits and uses. Woot is an online retailer that goes beyond listing features to create unique product descriptions that make customers feel privileged to own the product. Ecommerce companies can also publish blog posts on their websites and write guest posts for other related websites. Blog posts are great because they can be optimised for searches to drive more traffic to websites. They’re evergreen content and if companies can make them interesting, informative, and engaging, they’re sure to find tons of readers. Here’s an example of an ecommerce company that has a blog on their website. The folks at online women’s clothing store, Nasty Gal, write about a variety of topics related to clothing and fashion on their blog, Nasty Galaxy. Ecommerce companies can also work with influencers to create informative blog reviews about their products or brands. Such content can help drive traffic to their websites by placing relevant links within the articles. Apart from the above-mentioned formats, ecommerce companies can also create ebooks, whitepapers, podcasts, newsletters, and other types of content. After deciding on a topic and the content type, it’s natural for companies to jump right into content creation. However, there is another important step that needs to be taken care of before that – defining the quality parameters. Regardless of the type of content and the channel used to share it, the messaging should be consistent. It should also reflect the company’s brand image and values. 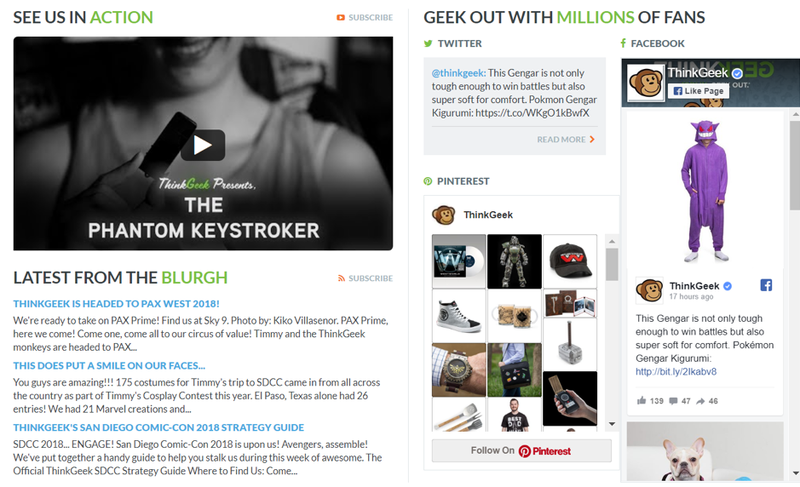 For example, Think Geek’s brand image of being a one-stop-shop for all things nerdy, clearly reflects in their content. 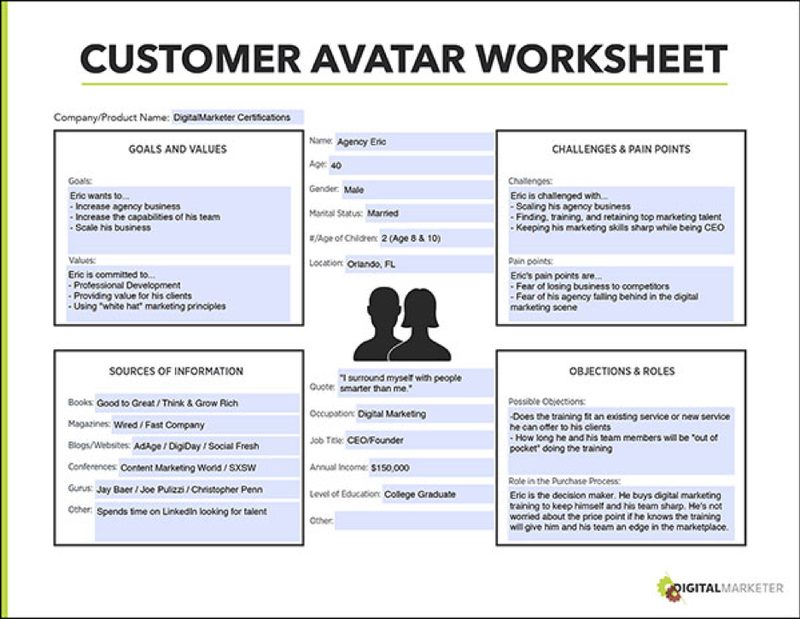 The company’s photos, videos, social media posts, and even product descriptions are specifically targeted at geeks and nerds. Ecommerce brands need to create content that is easy to share so as to reach wider audiences and gain more traction. Adding social share buttons on blog posts or inserting tweetable quotes in an article are great ways to make the content shareable. 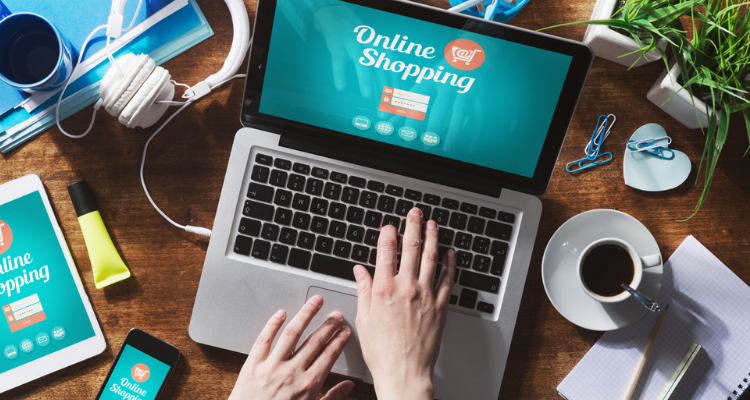 Ecommerce businesses need to create unique, engaging, and informative content that stands out from those of their competitors. For example, Loot Crate has an in-house team of writers and photographers that generate content for all their platforms. The company has their own blog and a monthly magazine and posts original photos and videos on social media. A carefully thought-out content strategy can make sure that time, effort, and resources are used effectively and efficiently. Ecommerce businesses need to focus on creating relevant and engaging content that their audiences will value. Optimising content for search engines can help their content rank higher in search results and can drive quality traffic to their websites. In addition, influencers can complement their content strategy and help them boost their visibility and credibility as well. The steps mentioned above can help ecommerce businesses craft an effective content strategy easily.